With all the hype about yoga, there has to be a lot more to it than sitting cross-legged and contorting your body in weird poses. And there is much more. With over 800 styles of yoga described, how can you find one that you might like? Rooted in Indian philosophy, yoga is an ancient method of relaxation and regarded by many as a spiritual experience. However, in the last five years yoga has become ubiquitous, with independent studios sprouting everywhere and fitness centers incorporating yoga classes into their group instruction curriculum. 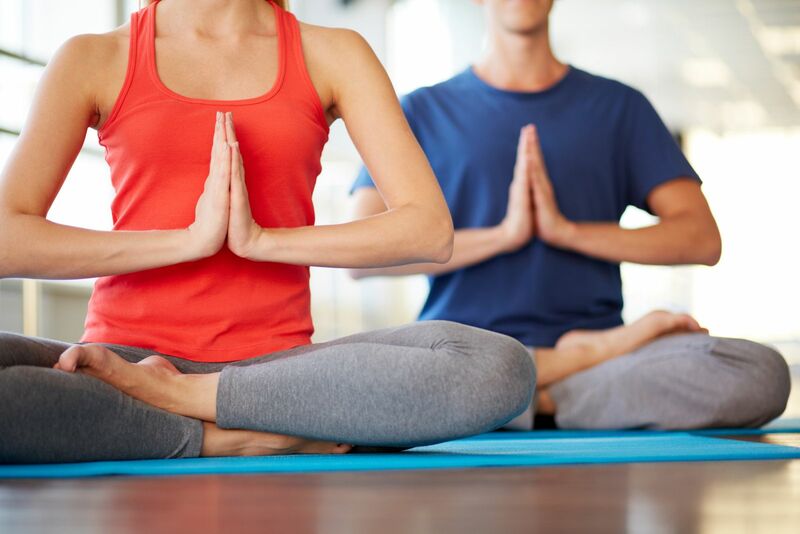 Although some people still view yoga as a practice reserved for spiritual seekers looking for inner peace, yoga is rapidly being embraced by many Americans as an alternative or additional way to increase strength, endurance and body tone. In fact, today many fitness experts recognize yoga as valuable part of functional training. Functional training (also called functional exercise) has become a buzz word in the fitness industry, used in programs for competitive athletes as well as recreational exercisers. Functional training focuses on endurance, strength and coordination to allow individuals to maximize performance of everyday tasks. In a weight-training routine, incorporating deadlifts (a great exercise to strengthen the back and thigh muscles) can help to decrease the likelihood of injury and strain in a simple movement like bending over to tie your shoe. Similarly, yoga can functionally develop the body by improving the body's ability to interpret and respond to nerve signals sent back and forth between the muscles and the brain. The increased connectedness of mind, nerves, and muscles results in more fluid body motions and quicker adjustments to unexpected situations like tripping over a curb. Yoga practice is commonly broken down into different postures or asanas. The different postures are guided by breath and focus on using core strength (mula bandha) to move energy (prana) through the body. Because there are many different schools of yoga, it can be challenging to nail down which discipline is right for you. Below is a simple guide to the different branches of yoga. Asthtanga and power yoga. Ashtanga is a fast-flowing vinyasa-based (connecting movement with breath) practice with a set sequence of postures. Depending on the teacher, Ashtanga can be a rigorous workout, so be prepared to sweat. Power yoga is a generalized term that emerged in the mid-'90s to make yoga more accepted by western culture. Like Ashtanga, which is considered a "power yoga," the focus is on moving energy and creating heat within the body. Jivamukti. Jivamukti originated out of a studio in New York City. A challenging class with a fast-flowing pace, Jivamukti utilizes the ashtanga-style, but incorporates chanting, singing readings and meditation. Iyengar. The Iyengar flow is generally a much slower practice, emphasizing stillness and form of each posture. Iyengar focuses on the body's imbalances and promotes physical alignment and mental serenity. Iyengar practice often incorporates props, such as straps, blocks and bolsters to help a person unable to perform a posture independently, obtain the full benefit of the asana. Bikram. The Bikram, also called "hot" yoga, aims to make you sweat profusely. Bikram classes are held in heated rooms of around 100° Fahrenheit. The goal is to heat the body from the outside in and the inside out. The Bikram practice is a series of 26 ordered postures. Kundalini. The Kundalini practice consists of rapid breathing, postures, chanting and meditation. Using slow and deliberate movements, Kundalini focuses on "moving energy through the body to enhance consciousness." The term Kundalini is also used to describe an energy of awareness. The theory is that through yoga and meditation one awakens his or her kundalini to discover inner awareness. Kripalu. Also called "gentle" yoga, Kripalu integrates mind, body and spirit in three stages - willful practice, willful surrender and meditation in motion. It claims to promote spiritual healing by evoking awareness of your physical, mental and emotional experience. The class consists of postures that tone muscles, improve blood flow and energize the mind and body. Most yoga classes range from 60 to 90 minutes long. With so many styles of yoga, and its growing popularity, fitness centers and independent studios have begun to group yoga disciplines. For example you might attend a class called restorative yoga or athletic yoga. Broad terms are used to help students relate to the practice and get a general sense of the flow of the class. You may also encounter hybrid fitness classes that incorporate yoga techniques, such as yogalates (a combination of yoga and pilates), spin yoga (a class of half cycling and half yoga), and kids' yoga (promoting movement, physical expression and inner spirit for kids). Yoga can be a great vehicle for positive physical and mental transformation. Ultimately, trial and error is the best way to determine which style of yoga is right for you. Trying different classes and different teachers can help you find one that meets your needs.